Whether we are manufacturing light pole banners for downtown avenues, decorating a main street with garlands, lights, and bows or helping to draw attention to a community festival, our products combine quality, high-impact presentation and manufacturer direct price points to conform to any budget. We engage ourselves in the spirit of pride that our products represent and often form bonds of loyalty with our customers who rely on us to help beautifully and draw attention to their downtowns. 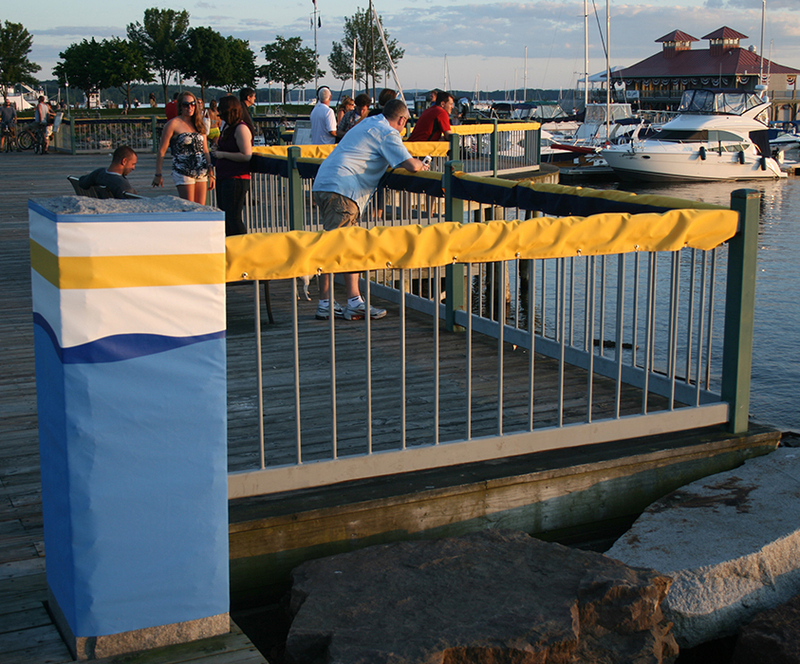 Hosting the largest international event in Vermont’s history, the City of Burlington along with several organizing committees were challenged to decorate the entire downtown to promote Samuel Champlain’s 400th anniversary. The two week festival included multiple world class musicians, concerts, theatrical performances, cultural exhibits, children’s programs and street performers to celebrate the city’s present day ties with its Quebec neighbors. Visual décor was needed to theme and unify the multiple event sites, welcome visitors, recognize event sponsors, decorate stages, pathways, light-poles, venue gateways and storefronts.